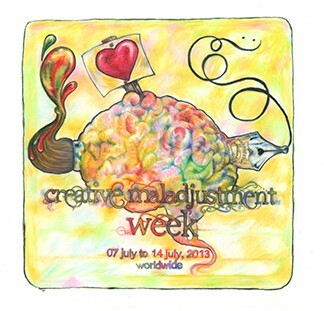 What Are You Creatively Maladjusted To? ‘There are certain technical words within every academic discipline that soon become stereotypes and cliches. Modern psychology has a word that is probably used more than any other word in modern psychology. It is the word “maladjusted.” This word is the ringing cry to modern child psychology. Certainly, we all want to avoid the maladjusted life. In order to have real adjustment within our personalities, we all want the well‐adjusted life in order to avoid neurosis, schizophrenic personalities. But I say to you, my friends, as I move to my conclusion, there are certain things in our nation and in the world which I am proud to be maladjusted and which I hope all men of good‐will will be maladjusted until the good societies realize. I say very honestly that I never intend to become adjusted to segregation and discrimination. I never intend to become adjusted to religious bigotry. I never intend to adjust myself to economic conditions that will take necessities from the many to give luxuries to the few. I never intend to adjust myself to the madness of militarism, to self‐defeating effects of physical violence. But in a day when sputniks and explorers are dashing through outer space and guided ballistic missiles are carving highways of death through the stratosphere, no nation can win a war. It is no longer the choice between violence and nonviolence. It is either nonviolence or nonexistence, and the alternative to disarmament. The alternative to absolute suspension of nuclear tests. The alternative to strengthening the United Nations and thereby disarming the whole world may well be a civilization plunged into the abyss of annihilation. This is why I welcome the recent test‐ban treaty. In other words, I’m about convinced now that there is need for a new organization in our world. The International Association for the Advancement of Creative Maladjustment‐‐men and women who will be as maladjusted as the prophet Amos. Who in the midst of the injustices of his day could cry out in words that echo across the centuries, “Let justice roll down like waters and righteousness like a mighty stream.” As maladjusted as Abraham Lincoln who had the vision to see that this nation would not survive half‐slave and half‐free. As maladjusted as Thomas Jefferson who in the midst of an age amazingly adjusted to slavery would scratch across the pages of history words lifted to cosmic proportions, “We know these truths to be self‐evident, that all men are created equal, that they are endowed by their creator certain unalienable rights” that among these are “life, liberty, and the pursuit of happiness.” As maladjusted as Jesus of Nazareth who could say to the men and women of his day, “Love your enemies, bless them that curse you. Pray for them that despitefully use you.” Through such maladjustment, I believe that we will be able to emerge from the bleak and desolate midnight of man’s inhumanity to man into the bright and glittering daybreak of freedom and justice. My faith is that somehow this problem will be solved’.